Facebook is a great place for sharing information with friends and anyone in our network. In fact, it’s often where people look for relevant news and any information that they’re interested in. This practice has been easy for most of us before social readers came along. Social readers are third party applications within Facebook from news websites such as Huffington Post, BBC and other media sources. Although these are useful sources of information, accessing them is a bit of a hassle when doing it from within Facebook. In addition to installing the social reader, these applications require you to allow access to your Facebook information, and to post to your profile on your behalf when you read any of their content. That may not be necessary for most, especially if all because they want to do is read this one article. This is not an option for some users, so it’s a good thing that there is a workaround to it. Unsocialize is an extension for Chrome and Firefox that allows you to bypass access permissions before clicking on a link. It does this by giving the user direct access to the link. 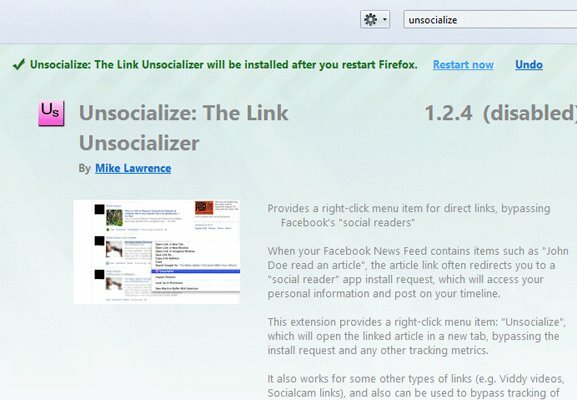 To install Unsocialize, you can find the link for Chrome here and for FireFox here. 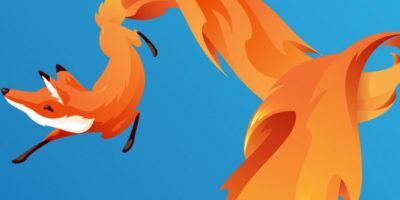 For FireFox users, you’ll need to restart the browser before this takes effect. Click on the Restart Now button right after installing the add-on. Chrome users will see a pop-up on the top right corner of the browser indicating that the extension is installed and ready to use. But if you have Unsocialize installed, Instead of being redirected to the social reader permissions page, Unsocialize takes you to the article source and opens a new tab in your browser. Simpy right-click on a link and click on Unsocliaze. Problem solved. This also works for other links that redirect to external web applications like SocialCam and Viddy for videos and Mixcloud for music. Aside from letting you bypass permissions for reading articles, Unsocialize also works for regular links. 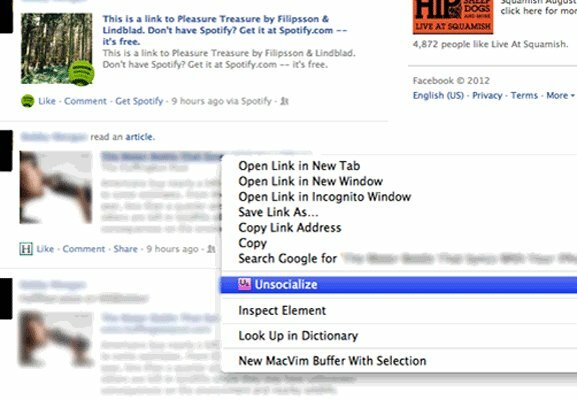 Regular links opened with Unsocialize will not be tracked by the website hosting the link. Although the extension works with most social readers, it does not work on Washington Post links at this time. The developer, Mike Lawrence, is working on this as stated on the extensions’ official website. This extension is a great time-saver for most people who just want to access content but not install any apps within Facebook. It’s a great way of securing private information. Facebook has had a lot of privacy issues in the past and most users already have enough doubts about how their information is treated. The extension is extremely easy to install and use, and virtually anyone can do it. With Unsocialize, you can read and view content that matters to you without the hassle of installing apps or allowing them to access your Facebook profile.